Barclay's was a popular spot for soccer fans to watch the World Cup in 2014 (via Facebook). 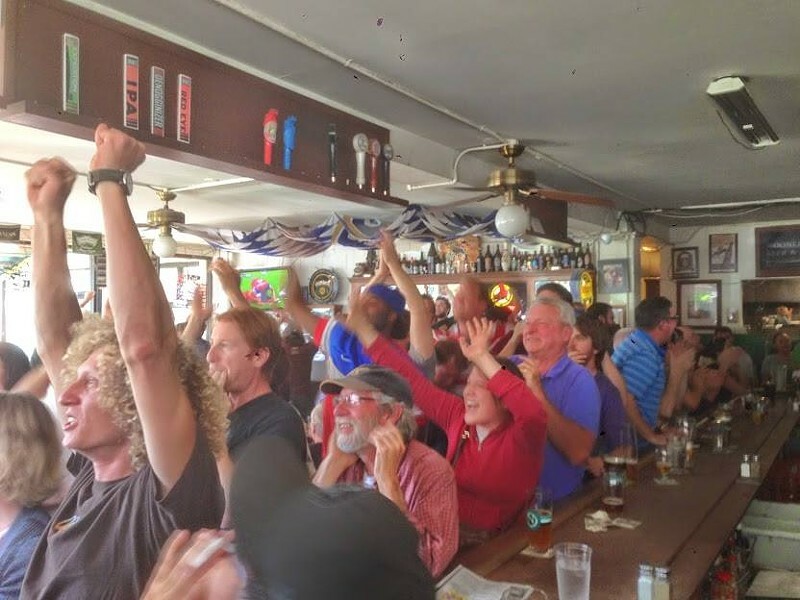 In today’s Oakland, it’s a tale that is unfortunately becoming all too common: After nearly 25 years in Rockridge, Barclay’s Pub (5940 College Ave.) will be forced to find a new home. According to Derek Bromstead, the general manager, the building’s owners were unwilling to negotiate a new long-term lease. Bromstead said his understanding is that the incoming operators are relatives of the landlord and that they'll continue to run the business as a bar of some sort. For Barclay's, the last day of business in the current location will be July 15. “I personally think the situation is crazy, and I don’t understand it,” Bromstead said. For now, he’s working on trying to find a new spot not too far away — hopefully in time for Barclay’s to celebrate its 25th anniversary in October.